We have reached this historic Sikh shrine- Budha Jor in Rajasthan. The Sikh’s in history have always been wanderers as geographically our homeland the Punjab is the frontier to the Indian sub-continent. 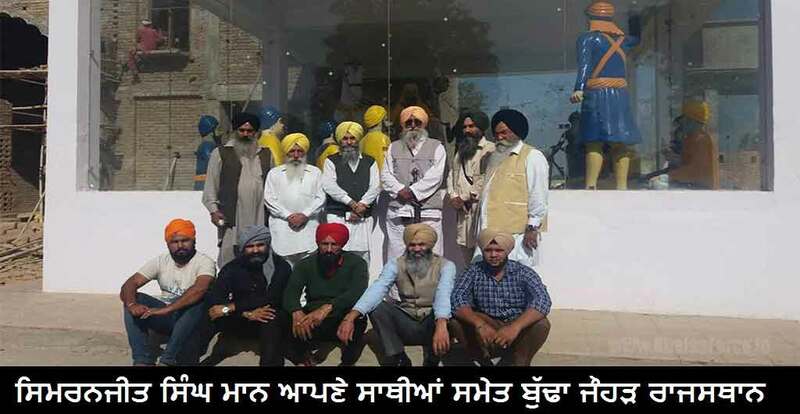 Since 5th November our partymen have not slept in their respective homes.We have been under constant raids by the Modi-Badal police and about 3000 of our partymen have been arrested and put behind bars. Some of us who were lucky fled the Punjab state, weary and tired, sleeping from one home to the other, we have finally reached Budha Jor in Rajasthan to hold a small gathering instead of the Sarbat Khalsa a convention of all Sikh’s from all corners of the world as Modi and Badal have pulled down our tents at Talwandi Shabo where the Sarbat Khalsa was scheduled to be held. 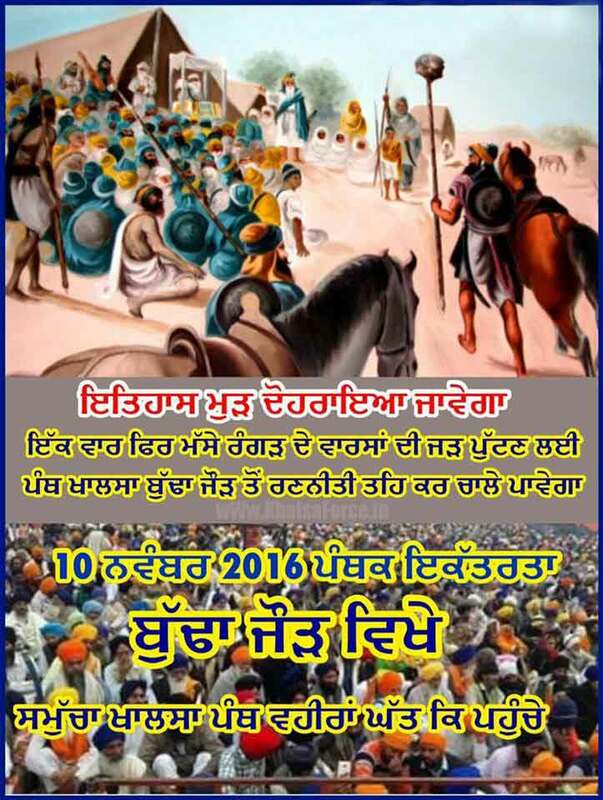 We hope as many Sikh’s who can reach Budha Jor Gurdwara will make all attempts to reach this place to attend the mini convention here tomorrow- 10th November 2016. There is always a silver lining after a storm and our party is happy that the Republican candidate Mr. Donald Trump will be the new incumbent of the White House. We wish him well and we hope he will renew his policies towards India, as previously the US governments had given this Hindu right wing state the 123 Nuclear Agreement and the Logistics and defence treaty. This largesse had made the majority Hindu State highly jinjoistic and arrogant, as a result the Sikh’s were being persecuted and even murdered in extra judicial murders. The Sikh’s have been subjected to massacres and the crime of genocide. Had Mrs. Cliinton won the election then the right wing ultra nationalist Hindu State would have resorted to the worse genocide, which we Sikh’s have always feared. Mr.and Mrs.Cliinton have been recipients of large secret service funds from India, dispensed by Mr. Amar Singh and a hotelier Mr. Sant Singh Chatwal . We think this aspect needs to be probed by the FBI. We hope that with Mr. Trump in the saddle the repression of the Kashmiri people will also seize and the Sikh’s like us will no longer have to live a nomadic exisatance. In the end we call upon all Sikh’s and people who care for human rights to gather here at Budha Jor Gurdwara tomorrow, 10th November. Good luck and we look forward to a better future with Mr. Trump.